Sauk Village, Illinois: HISTORIC ELECTION: BURGESS, TATES & JONES WIN! HISTORIC ELECTION: BURGESS, TATES & JONES WIN! SAUK VILLAGE | You’ve got to go back to 1971 when 2 incumbent Trustees Richard Startz and Robert Robinson were tossed out of office during a mid-term election. In fact you’ve got to go back to 1999, when David Hanks first took office to find a voter turnout so low during an off year election. 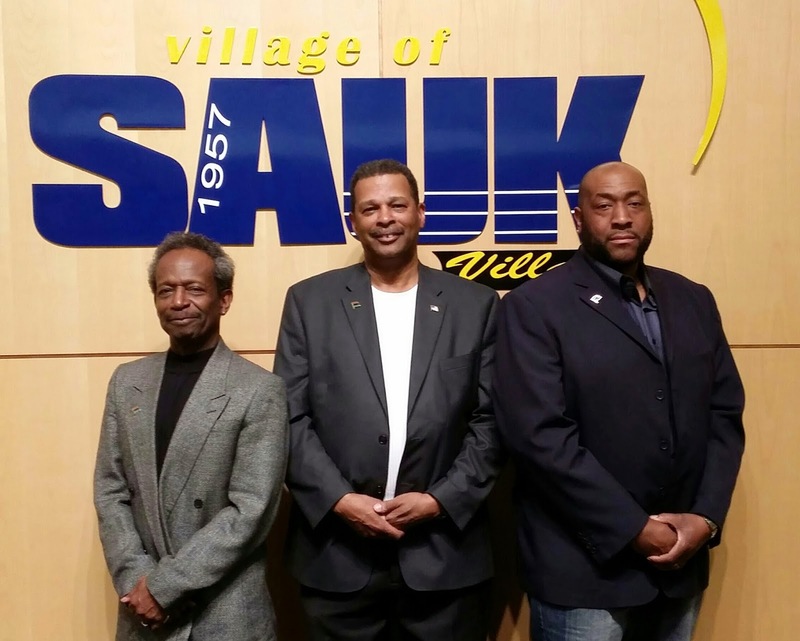 Sauk Village voters said “NO” to the Bobble Heads, said "NO" to Travelgate, said "NO" to closed door backroom meetings, said "NO" to unbalanced budgets and “YES” to a New Direction which Trustee Derrick Burgess and now Trustees-elect Cecial Tates and Kelvin Jones promised. Burgess, Tates and Jones greeted a euphoric crowd at Levels Sports Bar following Tuesday night’s election. Burgess promised supporters a New Direction and said that there is a lot of hard work ahead of the Village Board. “This was a clear message that we’ve been heading in the wrong direction. Residents wanted a change and we’re going to give them an open, honest and transparent Village Government” Burgess said. Trustee-elect Jones promised to remain true to the residents and thanked them for their vote and confidence. Trustee-elect Cecial Tates was overcome with emotion and tears. “I want to thank all of those who voted and came out to help and support making the village better” Tates said. “We didn’t go around making crazy promises, and we ran a clean campaign. We did not slam our opponents and the message resonated with the residents” Burgess said. Burgess was re-elected to his third-term on the Village Board by a comfortable margin. Burgess received 496 votes , Tates received 401, Jones received 396 according to unofficial results from Cook County. Incumbents Jeff Morden was denied re-election to a full-term with 330 and Hanks appointee John Poskin came in dead last with 238 votes. Housing Commission Chairman, Gary Holcomb received 294 and was the only Trustee candidates who conceited the election in person shaking hands with Burgess, Tates and Jones and wishing them well. Morden, Poskin and Holcomb were supported and endorsed by Village Clerk Debbie Williams, Hanks and a group of calling themselves "crotchety old ladies", but it was all for naught as they failed to get their voters out to the polls.